Senators, SEC Investor Advocate Rick Fleming and NASAA ponder whether new laws and programs could make it easier to report financial abuse. The growing issue of financial exploitation among seniors has recently gone under the microscope at both a Senate Special Committee on Aging hearing Wednesday afternoon and in comments from Investor Advocate Rick Fleming of the Securities and Exchange Commission on Thursday. Meanwhile, several advocates for seniors met with the Senate Special Committee on Aging hearing on Wednesday afternoon to discuss ways to combat financial exploitation of vulnerable seniors. One of them, Judith Shaw — securities administrator of Maine and president-elect of the North American Securities Administrators Association — spoke at length about an approach being used in Maine, called Senior$afe, that has been showing promising results. “We must identify those who are best positioned to identify red flags early on and encourage reporting and referrals to appropriate local, county, state, and federal agencies, including law enforcement,” Shaw said during her testimony. Senior$afe, which partners with Maine’s financial institutions to increase identification and reporting of suspected cases of elder financial exploitation, aims to do just that. The program has three components — training, a consumer brochure, and quick response cards for front-line staffers and managers of banks and credit unions. Senior$afe also establishes a new reporting channel for suspected cases of elder financial exploitation in addition to the traditional report to Maine’s Adult Protective Services. And Shaw said the program has been effective already, in less than a year of existence. The first training sessions occurred in February 2014, and to date, 210 bank and credit union employees have been trained. In less than a year, Shaw said they’ve received a total of 20 referrals resulting from the program — 17 calls were referrals from financial institutions and three additional referrals came from nonfinancial institution individuals who knew of the program. The referrals have resulted in further referral of nine cases to Adult Protective Services — one case being referred to both the Office of the Attorney General and the Federal Trade Commission, and three cases being referred to law enforcement. 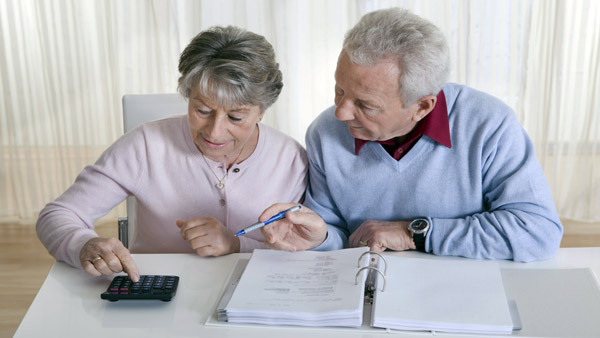 In two cases, the financial institutions were provided information to assist in connecting the customer with Legal Services for the Elderly. Several committee members expressed an interest in the Senior$afe program and its potential to be implemented elsewhere. Sen. Bob Casey, D-Pa., asked if Shaw thought Senior$afe could be a model for other states. “I do strongly believe it could be a model for other states,” Shaw replied. She added that already Senior$afe has supplied its program materials to NASAA for revision and co-branding so that it can be made available to all 67 of the group’s members — all 50 states, the District of Columbia, the Canadian provinces and territories, Mexico, Puerto Rico and the U.S. Virgin Islands. Casey also asked Shaw how difficult it was to pull together the mulitdisciplinary entities to achieve Senior$afe. Shaw responded that it wasn’t difficult at all. “I think people realize the time has come,” she said, adding that Senior$afe was not funded by a grant but that all entities agreed to commit their own resources. Also present at the hearing was Page Ulrey, senior deputy prosecuting attorney for the King County Prosecutor’s Office in Seattle, Washington. Ulrey has been the dedicated elder abuse prosecutor — handling cases of elder financial exploitation, neglect, physical assault, sexual assault and homicide — for the past 13 years and has seen firsthand how elder financial exploitation cases are so challenging for the criminal justice system. Ulrey then recommended several actions for Congress and federal agencies to begin to address the problem more effectively—which included training of the law enforcement officers and detectives, prosecutors, judges, Adult Protective Services workers, financial services professionals and others who routinely respond to these cases. She also suggested the need to develop infrastructure to support criminal justice handling of elder abuse cases at the local, state and federal level — such as been done similarly with the passage of the Child Abuse Prevention and Treatment Act in 1974 and the Violence Against Women Act in 1994. Ulrey also stressed the need to increase research and data collection. “We need to fund, pilot test, and collect data on the impact of specialized elder abuse detectives, prosecutors and victim advocates in a few jurisdictions,” she added. Sen. Richard Blumenthal, D-Conn., asked Ulrey whether she would endorse states adopting laws that would require financial institutions to report any red flags of financial exploitation. This very question — regarding the federal government’s involvement with financial professionals’ reporting of financial exploitation — was Investor Advocate Fleming’s main question in his remarks at the American Retirement Initiative Winter Summit. While some financial industry representatives have begun seeking some reforms, including the ability to “pause” transactions in which they suspect financial abuse, Fleming’s question is whether similar measures should be adopted at the federal level. “More specifically, should federal law allow a financial advisor to refuse or delay a transaction — contrary to the explicit instructions of the client — when it appears that the client is being defrauded or exploited?” Fleming’s prepared remarks said. Fleming’s simple answer is “yes.” But he follows up that yes with a web of questions to also consider. How long should the “pause” last? Fleming points to the Washington statute that permits a delay of 10 business days for a securities-related transaction. “Is that a long enough time for the local authorities to intervene with some sort of legal action?” he added. Who should have the authority to decide whether to delay a transaction? Should it be an individual financial advisor, a branch manager, compliance officer, committee, or some other authority? What should be the legal threshold for allowing a firm to refuse to follow a client’s instructions? Should it be a “reasonable belief” of financial exploitation, or should a higher threshold be required?